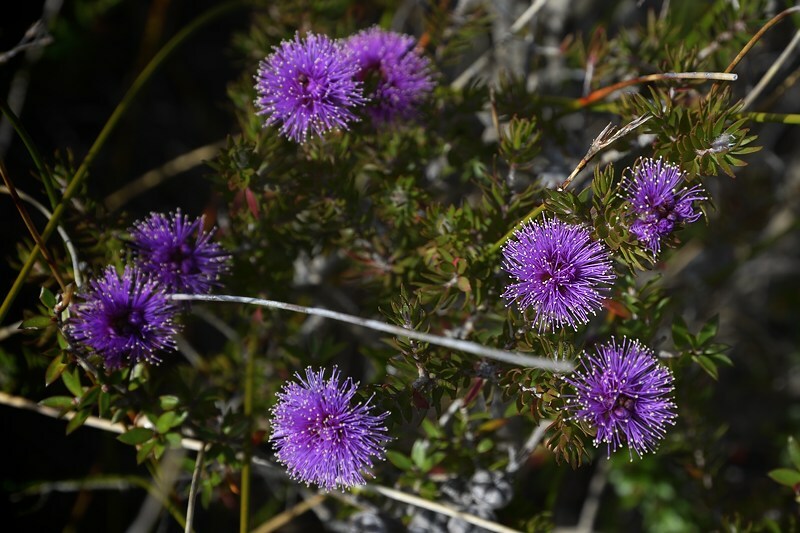 With a walk down the Freycinet Peninsula planned for Monday to Wednesday, I headed for Coles Bay a day early, with enough time to do Mount Amos before dinner. This walk departs from the Wineglass Bay carpark, and immediately diverges to the left. The initial part of the walk is easy and gentle, but it rapidly steepens and then starts to climb and traverse the sloping rock. Higher up there is a little easy scrambling on steep rock, but some people find it a challenge, and if wet it would be very difficult and probably dangerous. There are some enormous boulders scattered along the flanks of the Hazards, and as you look up at the peaks, you can see more perched here and there awaiting their turn. 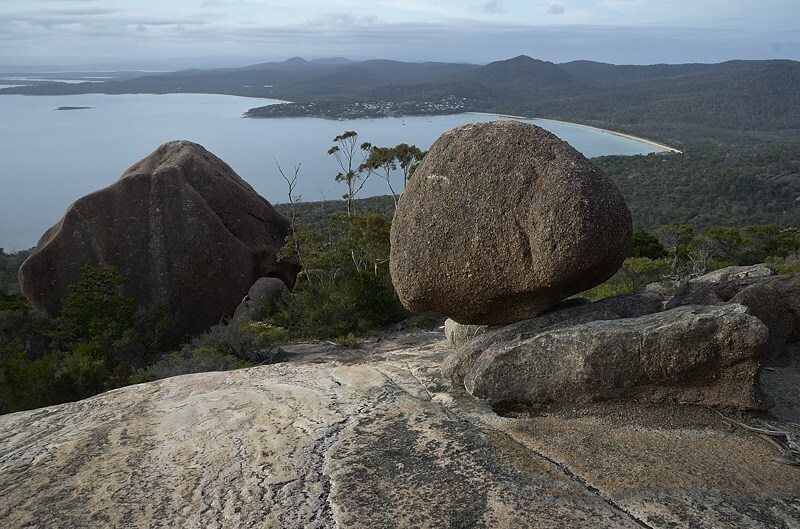 The Mount Amos track has a good number, but probably the largest and best most people will see are on the carpark-return leg of the Wineglass Bay walk, where the track winds amongst some boulders which seem to be the size of two-storey houses. 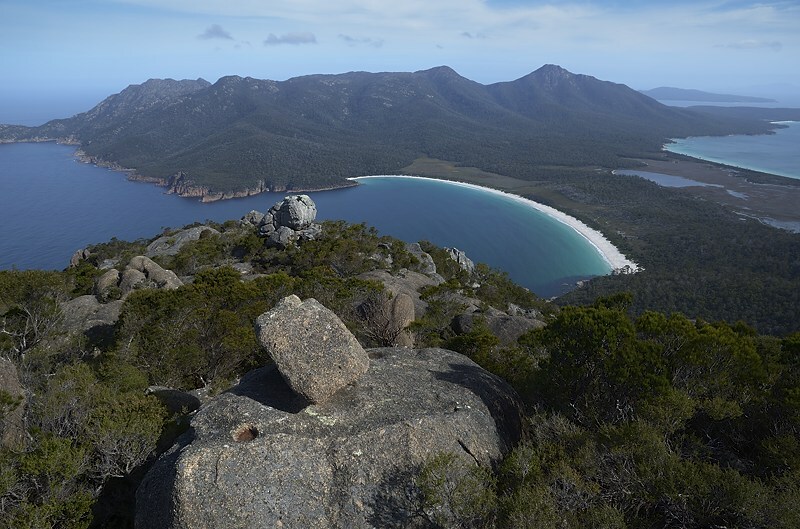 As you climb the views open up to the north, and then from the summit there is the classic view of Wineglass Bay and the rest of the peninsula. I think many tourists expect they're going to get this view from the lookout near the saddle. That view is quite good, but nothing like the one from the top of Mount Amos.